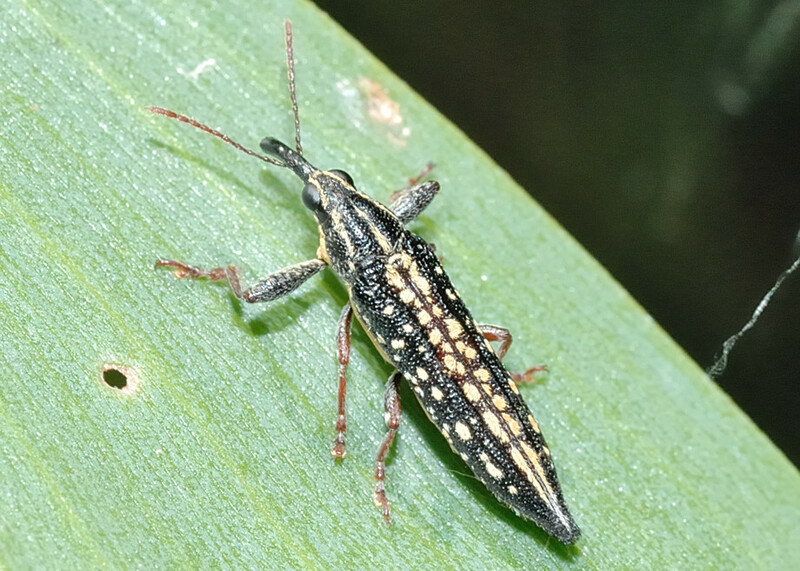 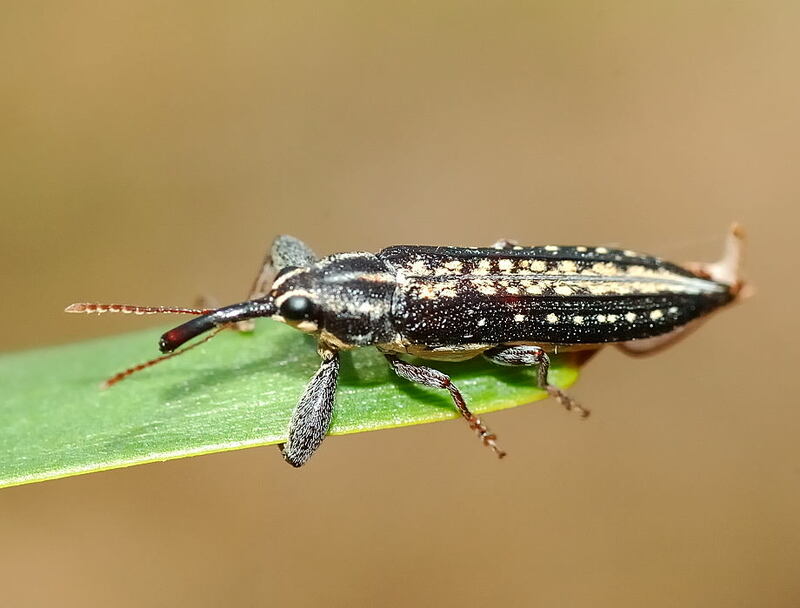 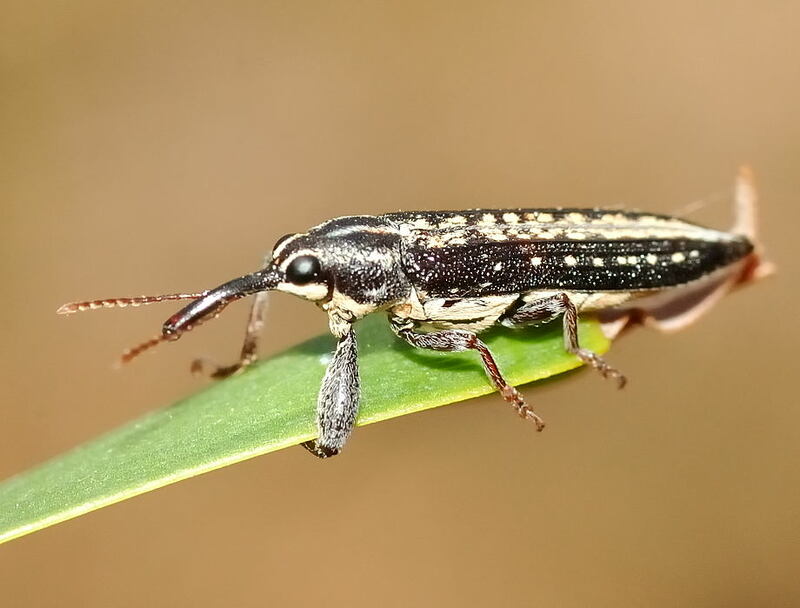 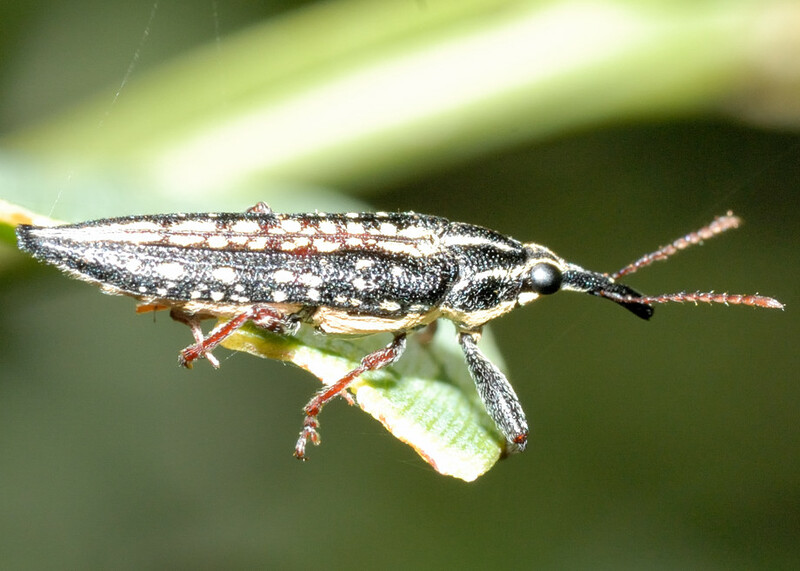 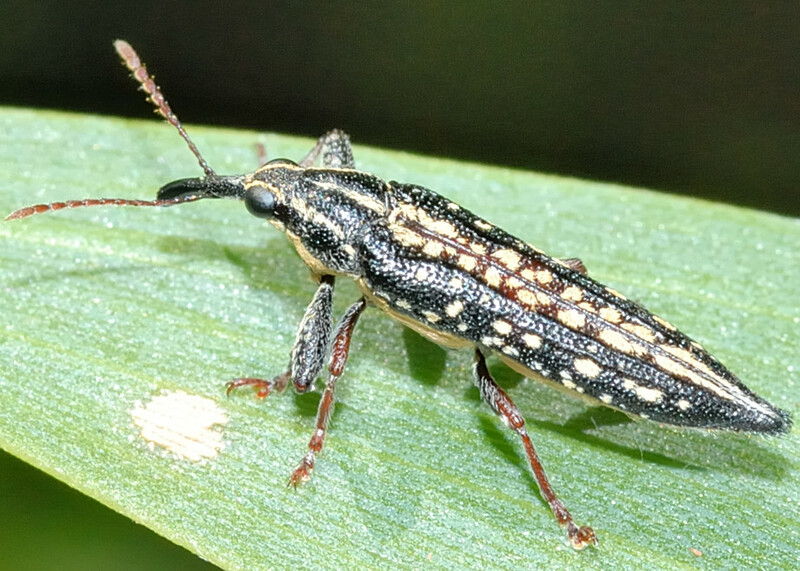 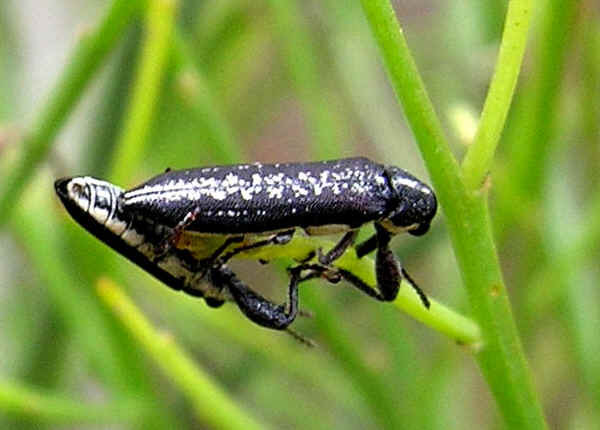 This page contains information and pictures about Semi-punctated Belid Weevils that we found in the Brisbane area, Queensland, Australia. 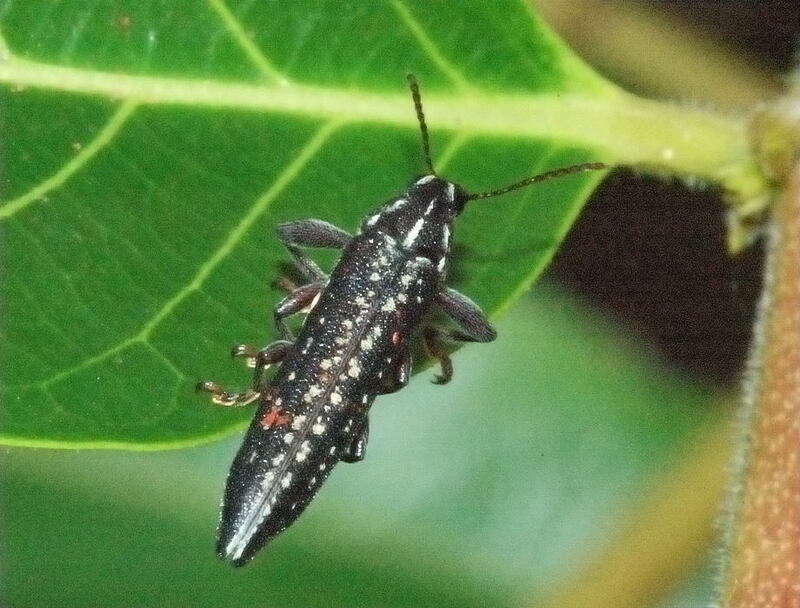 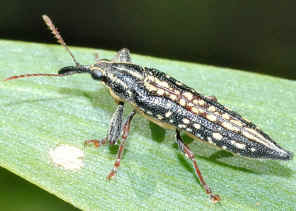 This beetle was first found in a front yard in Yeerongpilly in summer 2003. 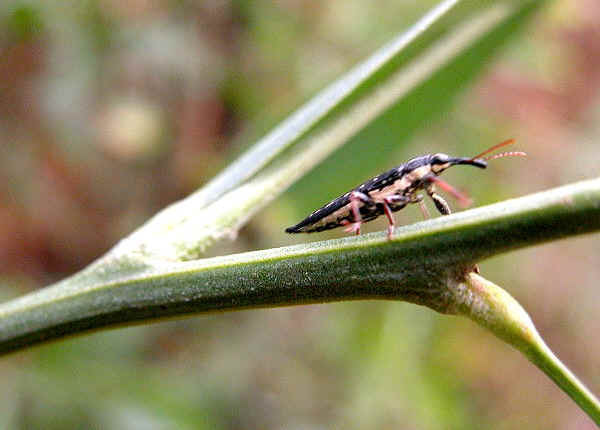 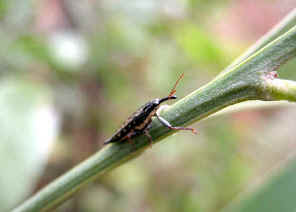 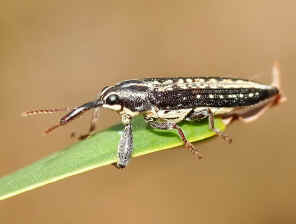 It look like a true weevil family member but its antenna is straight and not clubbed. We also found it in Karawatha Forest on Acacia during early summer. 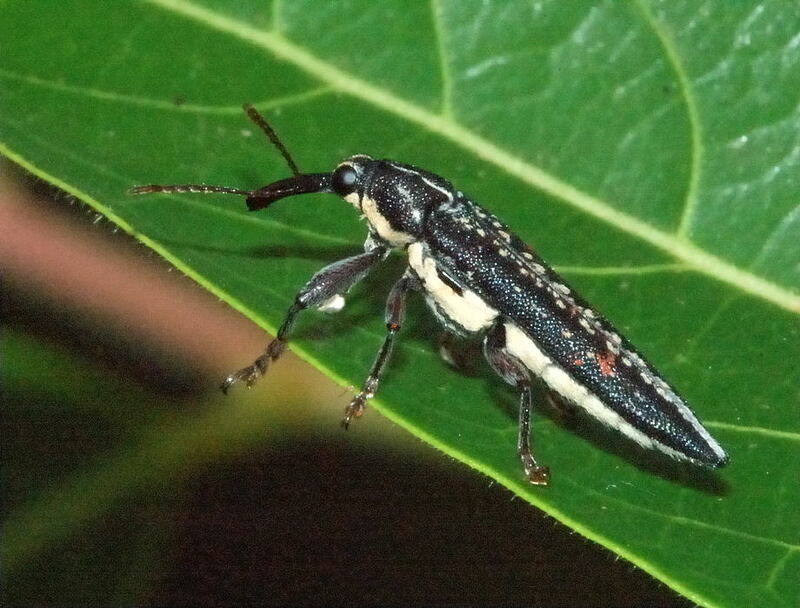 This beetle is ready to fly when we come too closely. 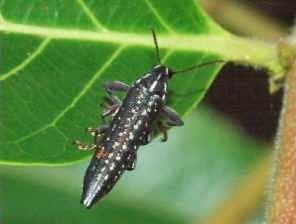 Found them again in Karawatha Forest during early summer Nov 2006. 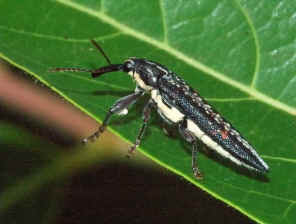 Pictures were taken on Oct 2007 in Karawatha Forest Dentata Track. 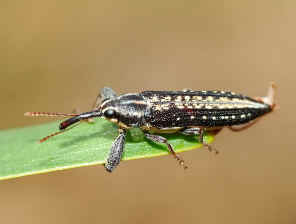 Pictures were taken on Nov 2007 in Karawatha Forest. 1. 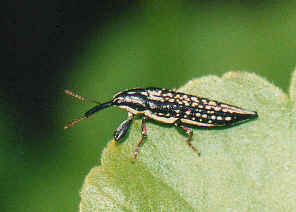 Beetles of Australia - Trevor J Hawkeswood, Angus & Robertson Publishers, 1987, p125. 2. Australian Weevils - Zimmerman, E.C., CSIRO PUBLISHING, 1991, Plate 42.